SINGAPORE, Apr 26, 2018 - (ACN Newswire) - Azelis has launched its CSR programme, representing the efforts that Azelis makes throughout the entire supply chain and beyond. This launch follows two years of research, preparation, definition and implementation of the programme's goals and KPIs. Azelis is committed to follow the United Nations Global Compact key pillars of Corporate Social Responsibility: Human Rights, Labour, Environment and Anti-Corruption. The CSR programme ensures each of these commitments, has a framework to measure and monitor performance and develop action plans, as appropriate, to ensure continuous improvement. Furthermore, Azelis is committed to communicate progress and report annually on its CSR programme from 2019. Azelis believes that CSR concerns everyone: employees, customers, principals and other stakeholders including regulatory bodies, governments and local authorities. Being in the centre of the equation and providing the company with a strategic position to affect everyone's behaviour, Azelis trusts that it is a matter of taking responsibility and acting with respect whenever social, ethical, environmental choices or human rights and laws are concerned. Dr. Hans Joachim Mueller, Azelis CEO, comments: "The CSR programme we have launched is exactly what has been the core of Azelis ethos: showing respect in everything we do, day in day out. We believe this is the only way of making a true and lasting difference. And of course, the bigger our efforts, the greater our impact will be. At Azelis we are committed to maintaining the highest human, environmental and ethical values through unwavering cooperation with local communities, industry bodies, authorities and regulators. Only together can we reduce the environmental impact of our workplace as much as possible, and improve social values in whatever we do, wherever we can." 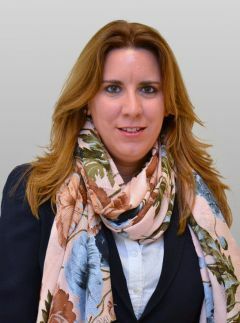 Maria Almenar, Head of Azelis group Safety, Health and Environment Quality who is leading the implementation of CSR at Azelis, adds: "Responsible Care and Responsible Distribution are already part of our daily work life. They focus on operations and product stewardship while our CSR programme complements it and takes it one step further. It will concentrate on the complete picture: company values, ethical behaviour, human rights, environment and fair operating practices." The CSR programme is implemented in all Azelis' processes and practices, building on the Corporate Social Responsibility Policy and Sustainable Procurement Policy Azelis launched last year when it also signed the UN Global Compact initiative. "Our commitment to Responsible Care and Responsible Distribution is unchanged", adds Almenar. 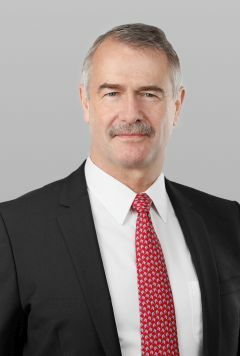 "While the new CSR programme demonstrates the company's deeper, long-term commitment to sustainability, many of the activities and KPIs which will now fall under the CSR umbrella are not new to us; we have already had quite a few in place, but now the KPIs we measure will have one common framework and are a part of a bigger picture." The Azelis CSR Steering Committee was formed in 2016 comprising of representatives from ExCom, Business / Operations and support functions. With support from the leading expert in this field the company has defined the CSR strategy and KPIs. In 2017, CSR and Sustainable Procurement policies were rolled out globally with KPIs and monthly indicators implemented in order to monitor the company's performance against these policies. In 2018 data collection across all CSR policies has been implemented and Azelis' first sustainability report is expected to come out in 2019. * EcoVadis operates the first collaborative platform providing Sustainability Ratings for global supply chains. Azelis is a leading distributor of speciality chemicals and food ingredients present in over 40 countries across the globe with around 1,800 employees. Our knowledgeable teams of industry, market and technical experts are each dedicated to a specific market within Life Sciences and Industrial Chemicals. We offer a lateral value chain of complementary products to over 40,000 customers, creating a turnover of EUR 1.8 billion. In the US we operate under a number of renowned co-brands that cater to the various markets in the region. Throughout our extensive network of 46 application laboratories, our award-winning technical staff help customers develop formulations. We combine a global reach with a local focus to offer a reliable, integrated service to local customers and attractive business opportunities to principals. And we believe in building and nurturing solid, honest and transparent relationships with our people and partners.